When doing the UK practical driving test there are often misconceptions of what you MUST do or MUST NOT do, below are some examples of these. All the information here is based on my experience while sitting on candidates tests and my knowledge of the Highway Code and Driving The Essential Skills, these two publications are written by the DSA, who conduct the driving tests, so what is written in them is what is required. 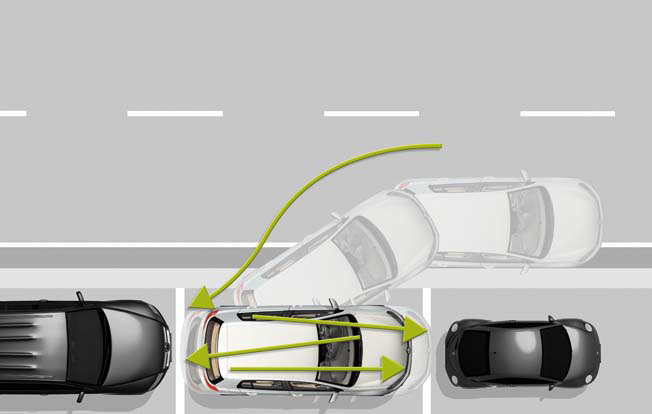 Imagine you stalled the car in a situation like above, with lots of traffic behind, by putting the handbrake on a going into neutral it is going to take longer right? So you will delay the traffic more and may not get through the traffic light. So the solution is to restart the car in the most effective manner, if the road surface is flat then it may be best just to keep the clutch down and foot brake on, if required, and re-start the engine, this will result in a much quicker re-start (Just make sure you are in the correct gear to move off, normally 1st). If the road is on an uphill gradient it may be best to put the handbrake on, as when you start off you will need to do a hill start so the handbrake may make this easier and reduce the chance of the car rolling back as you move off. Basically if you do stall the car the examiner will be looking for you to maintain control and do the most appropriate thing for the given situation, if it is a busy area the main thing is to just get going again with a quick re-start, if you perform a quick re-start then you are going to stand a much better chance of passing than if you take your time and hold up traffic for a long period of time. It is often understood that on test maneuvers need to be done perfectly and you are not allowed to re-adjust. This is incorrect; the examiner is looking for you to perform the manoeuvre to reasonable degree of accuracy with effective observations and good control of the car. In fact the driving test marking sheet does not even have a box for accuracy on maneuvers, only control and observations. 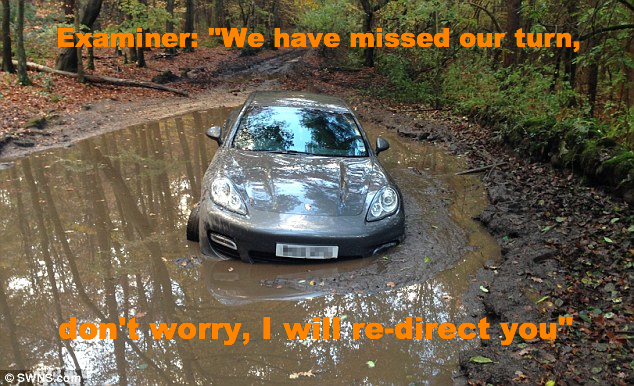 Also anyone can make a mistake and misjudge there steering when reversing, so what do you do if you misjudge it? Well if you started the whole manoeuvre again you are going to cause a further delay to other traffic, so just do any adjustment that you need to correct the manoeuvre in the most efficient and effective way. It is worth mentioning that there may be times when your only option is to start the whole manoeuvre again, if this is the case then you will need to start the whole maneuver again. "If I hit the kerb I will fail", this is very much depends on how it happens and what it effected, if anything. If you hit the kerb while reversing you are likely to be going very slow and as long as it is clear behind you then there is not a problem, so you are very unlikely to fail. However compare that to if you were reversing a bit fast, your speed could cause you to mount the kerb, which if more likely to result in a fail, or imagine if you hit the kerb while there was a pedestrian very close to it, you are likely to scare them, this is more likely to result in a fail. There are benefits of push-pull steering, such as you never cross your hands and always have one hand either side of the wheel, meaning you can more easily steer to swerve in an emergency situation (imagine if both hand where on the left side of the wheel and you need to suddenly steer more to the left, it would be pretty tricky!). Also in the middle of the wheel you have the airbag, if you hands are crossed over the wheel and the airbag goes off your hand will get in the way. Despite these benefits there is no requirement that you MUST do push-pull steering, it is advised, but that is all, as long as you keep control of the car with your steering method then you will be fine. "Driving: The Essential Skills" and "The Official Highway Code" state that when moving off or stopping you should signal when necessary, so if there is no one to benefit from your signal then it is not required, for example if you are stopping and there are no cars behind, ahead and no pedestrians or other users to benefit. Turning junctions is slightly different, because typically most junctions have poor vision, you can only really see fully down the new road when you get near the junction, as such you will not know if anyone will benefit, as you can't see if anyone is coming! If that makes sense! Therefore with junctions it is normally best to signal. If you think you have done something that you will fail for then the best advice is to just move on and continue with your drive, I have had pupils on test who have done something that you would really think would fail them, an example I think of is where a pupil was asked to go right at a roundabout, they positioned correctly on approach and signaled, but halfway round the roundabout they got confused and swerved off to take the straight ahead exit, without looking if there was a car besides them. At the end of the test the examiner used their discretion and confirmed the pupil had passed and said he put the mistake down to nerves. 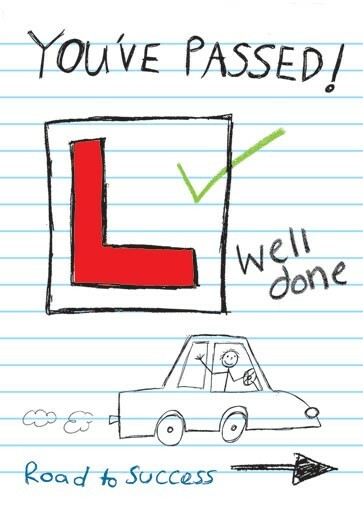 The moral of this is never assume you have failed, the examiners will often use there discretion and look at the overall drive when deciding if you should fail or not, if you make a mistake and the rest of the drive is good then the examiner may overlook the fault that would normally fail you. It is also worth mentioning that if you do give up half way through the test and ask for the test to be stopped or terminated then the examiner will ask you to park and will then walk back to the test centre, leaving you in the car. This is because they are no insured to drive the car back and if you have asked for the test to be stopped they must comply and can't accompany you back to the test centre. Anyone can make a mistake with their navigation, also on your test you are likely to be nervous and may miss a turning, the examiners will understand this and as long as it is done safely you are very unlikely to fail for going the wrong way. Exceptions to this may be if you go the wrong way dangerously or illegally, for example if you turn into a road with a no-entry sign or if you see your turning late and have to brake hard (effecting traffic behind) to make the turn. 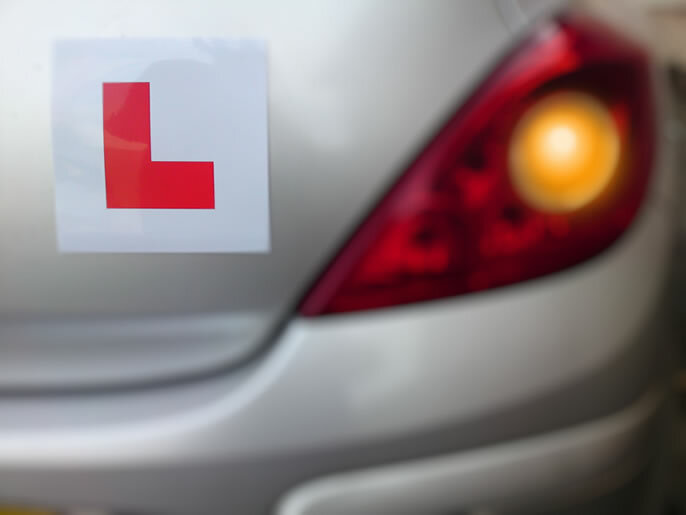 When on your driving test try to avoid thinking what I should or should not do for the test, just drive as you would normally, sometimes over thinking things because it is a test can mean you get distracted, leading to mistakes. The marking system is very much 'cause and effect', if you do something and don't cause a problem then normally you will be fine.